Gilas Pilipinas defeats China Today June 27, 2016 in Italy. This tune-up game is a part of their preparation for the FIBA Qualifying tournament that will be held in Manila on July. 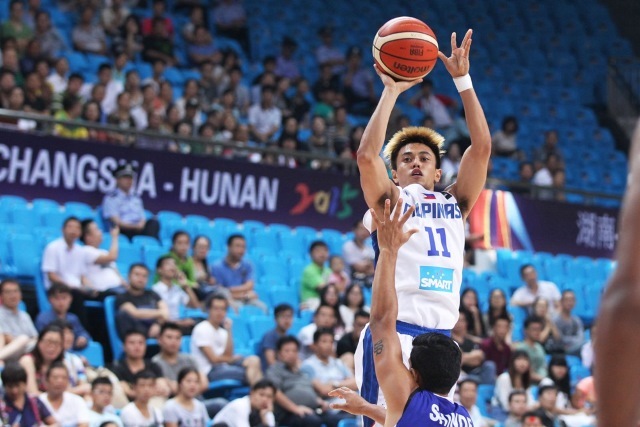 The Gilas Pilipinas win in a close fight, 72-69. Led by the Gilas point guard Terrence Romeo who scored 18 points, Blatche added 14 points and Chan scored 10 pooints for the Gilas. 3 stars of the Chinese team Yi Jianlian, Qi Zhou and Ailun Guo didn't play. The Final Roster of the Philippine team was already released: it includes Japeth Aguilar, Andray Blatche, Jayson Castro, Jeff Chan, Ranidel de Ocampo, June Mar Fajardo, Gabe Norwood, Bobby Ray Parks, Marc Pingris, Ryan Reyes, Terrence Romeo and Troy Rosario. Philippines 72 – Romeo 18, Blatche 14, Chan 10, Castro 9, Fajardo 5, Reyes 5, Pingris 3, Rosario 3, Aguilar 2, Norwood 2, Parks 1, de Ocampo 0.